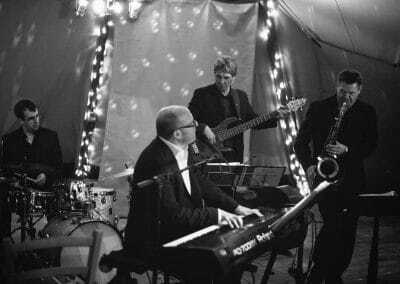 The Jazz Prescription is a Jazz band for hire catering for weddings, parties and corporate events. 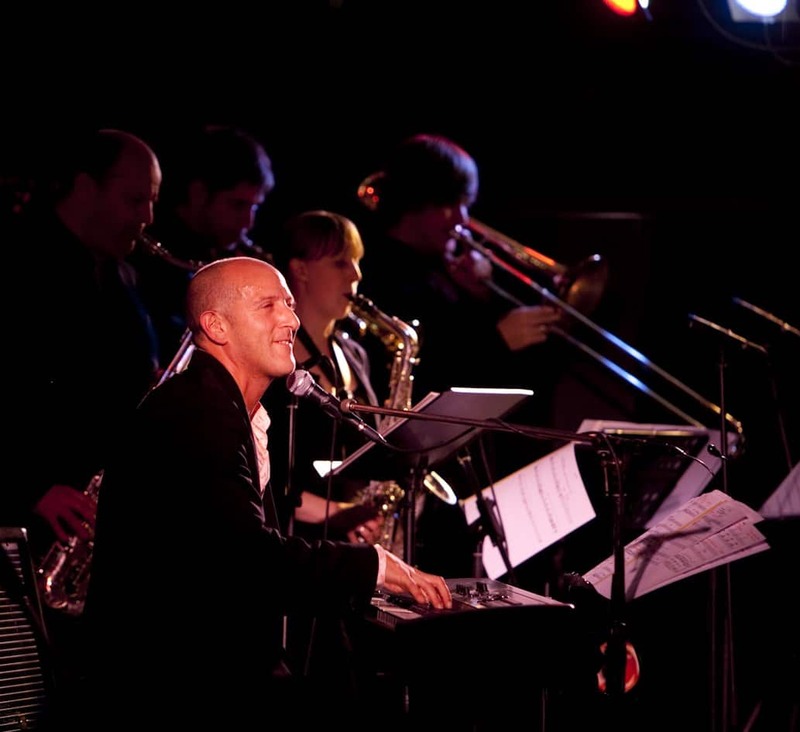 We perform across the UK and abroad and play all the swing band classics that will keep you dancing all night! 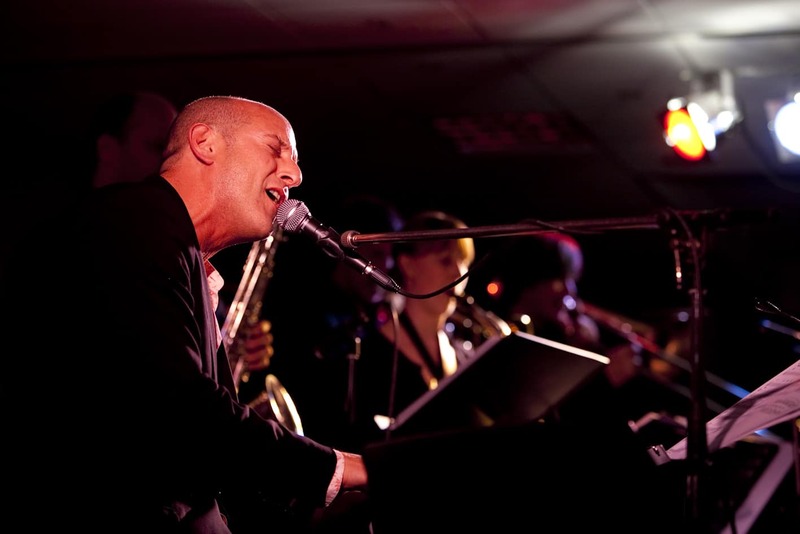 We can also play background sets for you and your guests to simply relax to that cool and stylish jazzy atmosphere. 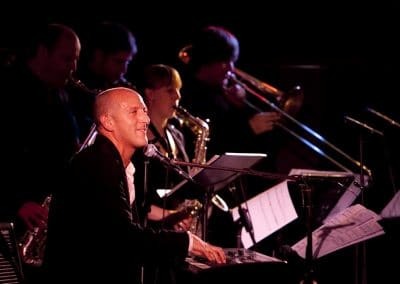 The Jazz Prescription setlist is unique and takes you on a musical ‘journey through time’, starting with the Jazz & Swing era, passing through the Jump-Jive of the 1950’s, and ending with a dancefloor-filling selection of pop & soul favourites from the 60’s, 70’s & beyond. 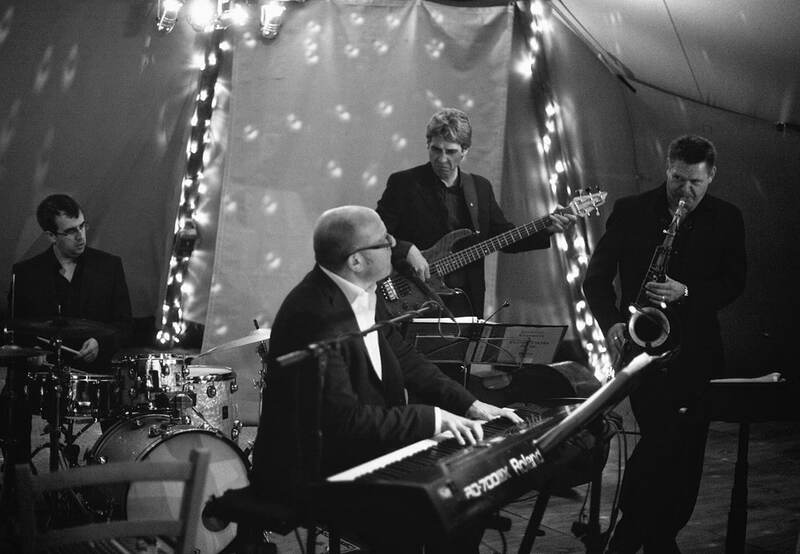 The Jazz Prescription comes in a variety of set ups to suit your event. Whether it be a low key set to start your event or a full live jazz band to finish it, The Jazz Prescription can cater to your specific needs with their huge repertoire. We can come as a 3-piece up to a 7-piece depending on the size of event and budget. We carry our own PA system for up to 200 guests and can play recorded playlists through the PA between sets, and until the end of the event if you wish. 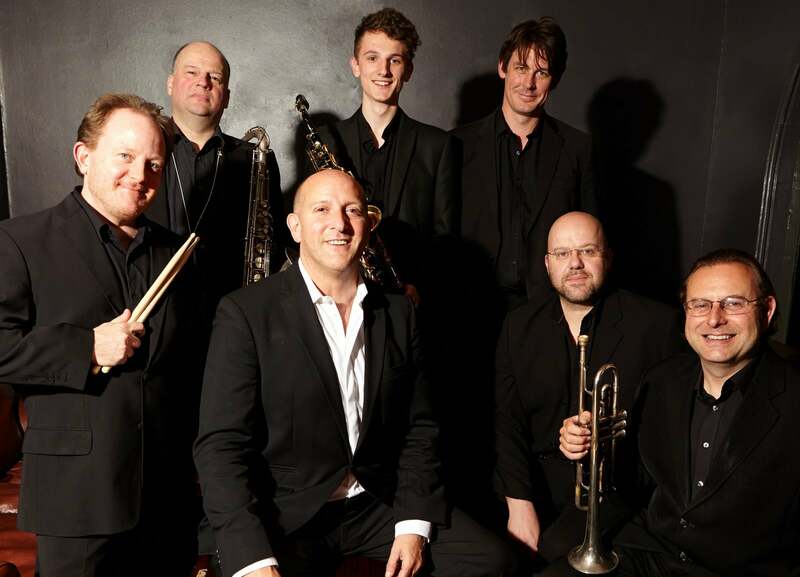 We are smart, friendly musicians who love what we do and 100% reliable to deal with. 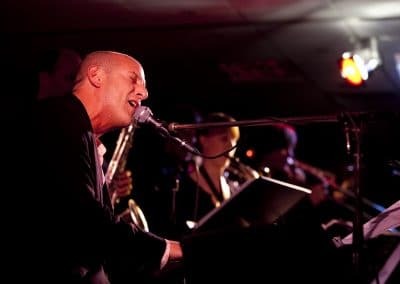 Call or e-mail our singer Jeremy Sassoon to discuss any queries you have. Below is an example set list for your event. Please scroll down the page to see the full repertoire.